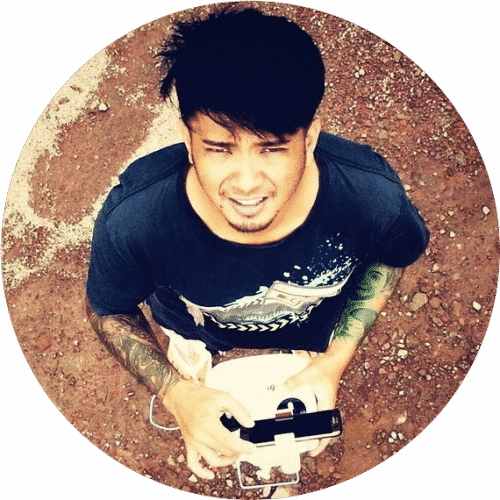 Walkera is a modern technology company that has made its mark in the drone’s market. 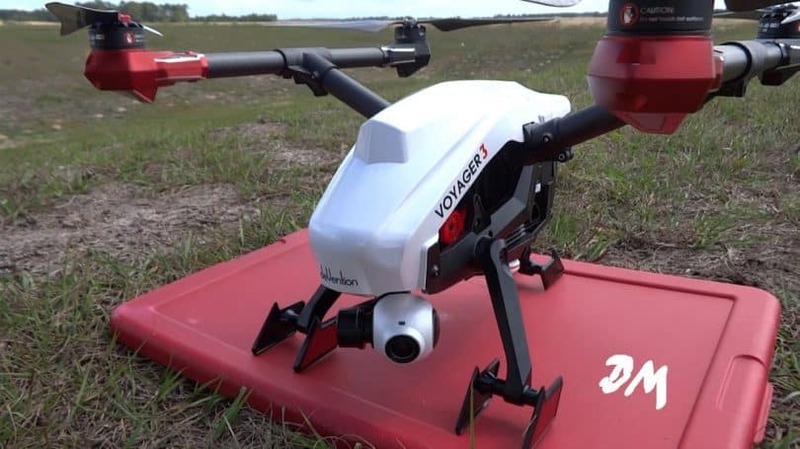 They made some impressive machines, and you can get familiar with their best models in our article about the best Walkera quadcopters, but among many, there is one which stands out – the Voyager 3. Walkera Voyager 3 is a dual-navigation quadcopter that will give you the ultimate flying experience and will give you the amazing chance to shoot great HD aerial videos and images. According to the producer’s specifications, this product is suitable for people who have some experience with drones and are older than 14 years-old. Thanks to the 3-axis gimbal you will be able to make a stable video footage with real-time video feeds on the F12E RC controller (the standard for this type of drone). 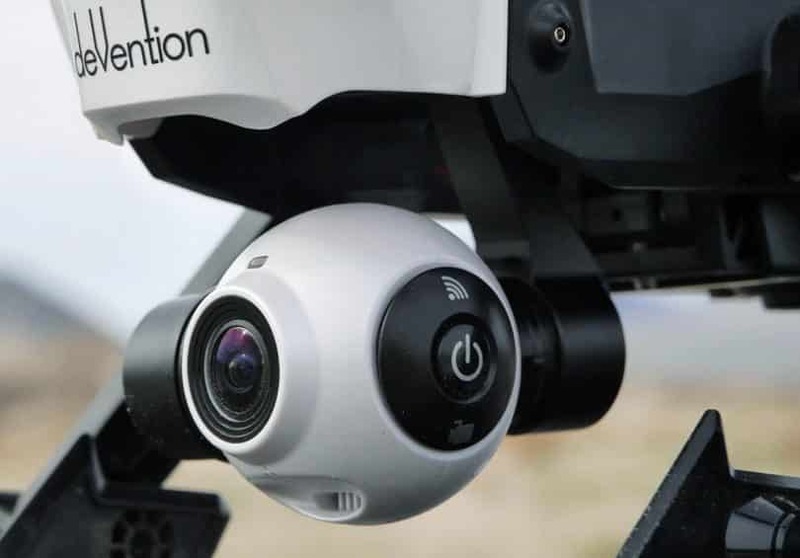 The interesting part about this drone is that you can have a 360 degrees camera view only by flipping a switch that will retract and deploy the landing system and gimbal. One key take off/One key to land/One key to return to base. A uniquely reliable GPS and GLONASS dual- navigation system. 3D Gimbal for fulfilling an unrestricted 360-degree view. Because Walkera wants you to have more time to fly, they used on the Voyager an 8S (29.6V) battery. When it’s fully loaded you get 20-25 minutes of flight which is quite impressing for most drones on the market. However, when it comes to flight time, the Voyager isn’t Walkera’s flagship model. The one that really offers an amazing flight-time, is the QR X800 model, and you can find out everything about it in our in-depth review. When you decide to buy this machine you will have everything you need to fly it right away. And be sure to check all videos in this article. The Voyager 3 has a wingspan of 346 mm or 13.6 inches and it is pretty heavy, weighing 3,650 grams or 8.0 pounds. The only available color is white. The materials used to build this drone are ABS plastic, carbon fiber, and aluminum. To ensure higher resistance to falls or crashes, the propellers and arms are made from carbon fiber. The quad manages to create a beautiful combination between aluminum and plastic. The frame is made of aluminum while the main components are out of a durable plastic that is resistant to scratches and mild shocks. The most interesting part is that Walkera Voyager 3 is almost transparent. Actually, you just need to shine a light on it, and you can see the inside components quite clearly. In terms of design, this drone looks pretty futuristic and it’s easy to maintain and upgrade. You have easy access to all the internal key parts (you just need to remove four screws around the hood) so that you can make changes or repairs. The quadcopter can withstand minor crushes but the propellers might suffer a bit. 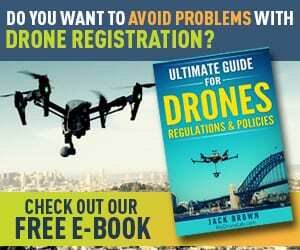 But don’t beat yourself up for this, most drones provide spares which are extremely cheap since the propellers are the first ones to give up. The design of this quad has the advantage that it can be easily separated to pieces. Thus the arms, ESCs, motors and propellers can be easily taken out by removing the screws. If you’re wondering why you would do such a thing, you should know that this way it’s easier to take the quad with you in travels. 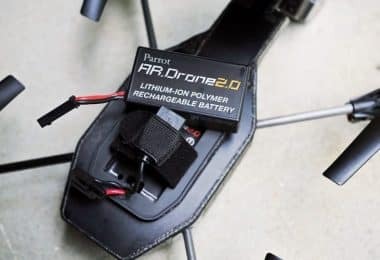 Users who already tested this model say that the motor can heat up quite intensely, especially during extended flight so you have to let it cool down for a few minutes before picking it up for a new round of flying. The secret behind the 360-degree camera view is the “L” shaped arm connected with the body that also connects the camera and the landing skids. The basic principle is a chain-like reaction: when one of the components move, the rest that are connected to the chain, will follow. The dropping camera system is part of making the Voyager 3 a fairly competent professional system. The camera is a strong point for this drone and is praised for the amazing sharpness and vibrant shades. It can record 4K videos at 30fps and 1080p clips at 60fps, making it perfect for shooting professional-level videos without even being a professional photographer. This is one powerful fast quad! Still, the flight time of the Voyager 3 is pretty impressive as the machine is powerful enough to last over 20 minutes in the air despite its heavy build. The flight time is quite amazing if you consider most professional drones barely manage to cover the same performance. The 3000mAh 10C (8S) batteries are not commonly used in the world of drones so it’s hard to find replacements (besides Walkera itself). However, unless you plan to overcharge the batteries, you shouldn’t worry. The provided charger is perfectly designed for this type of batteries so it should stay with you for eons to come. The controller is one of the components with the most importance in the set up for the drone. This dual-navigation quadcopter can be controlled remotely with two different types of controllers. The first one is a DEVO F12E transmitter (the standard choice) equipped with 12 channels of 2.4GHz and an FPV monitor while de second one is a smartphone/tablet. 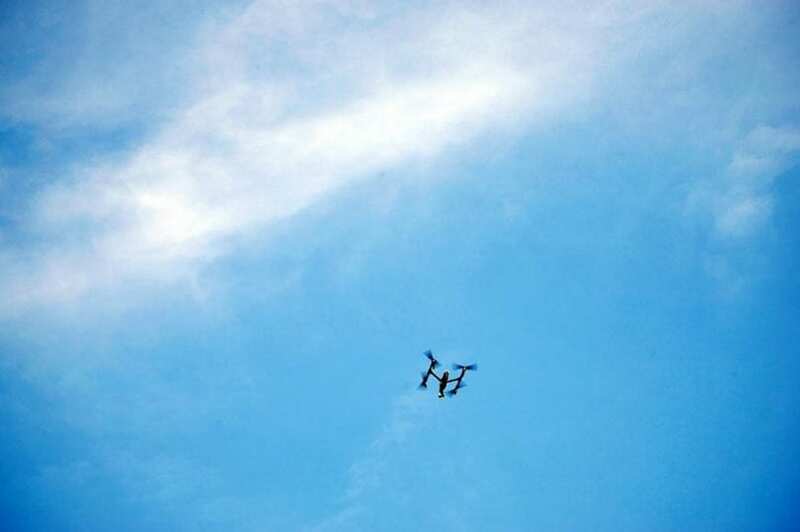 If you choose to go with a smartphone, the ground control station that comes with the package sets the connection between your smart mobile device and the drone. With the Fly intelligently Mode you can select some waypoints on the map and the quad will execute that flight plan. A very important thing that you must keep in mind is that the flight you are planning must be under the declared battery time. The app offers you all the data you need, like home direction, vertical and horizontal speed, battery voltage, longitude and latitude, distance to home, flight timer. Another cool feature is the Follow Me Mode where one option is to follow the pilot or a selected object and the other option is to fly around in a circle. The Follow Me is an awesome feature but it’s not recommended for beginners because if something goes wrong, you have a flying “stalker” that you can’t outrun. To provide more accurate location data, this machine uses specially customized GPS and a fancy global navigation system. This system was specially created for Voyager 3, makes possible the mentioned fly intelligently mode. Above is a video that will show you every step you need to make. Voyager 3 is a ready-to-fly professional quadcopter that features a great flight power and amazingly precise flying. It’s very stable and it’s not hard to control once you learn its moves. 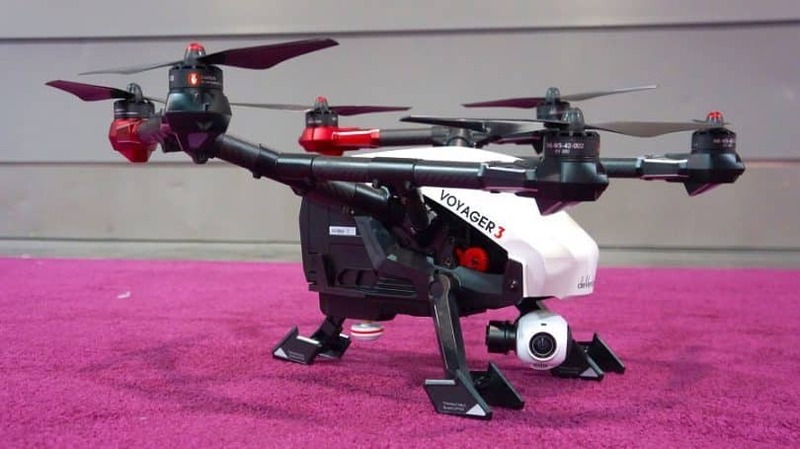 According to users, the Walkera Voyager 3 reaches the maximum height limit imposed by the FAA and actually goes beyond by much. However, if you decide to try it, don’t do it in populated areas. 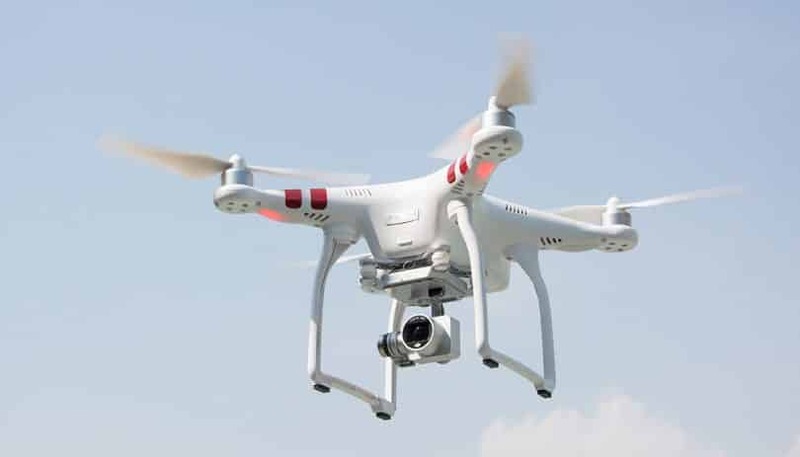 In the case of an accident, you might end up without a drone or worse, you may get a fine. The Voyager 3 costs around $2,000.00. This price includes everything you need for the drone to work. 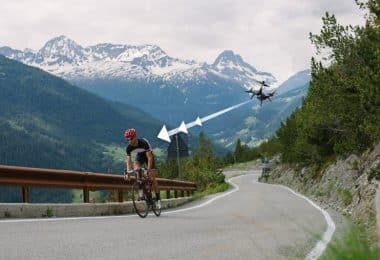 Considering all the mentioned features and the ingenuity of the technology this drone packs, we consider it does worth the financial effort. There is no mention of a guarantee on the Walkera site, but you can always contact the seller if there is a problem with the delivery or if the drone doesn’t work properly. Of course, this depends on the provider you’re using and their conditions. The GPS and GLONASS dual-navigation system. These are most of the features that make this quadcopter unique in such a crowded niche and quite irreplaceable. 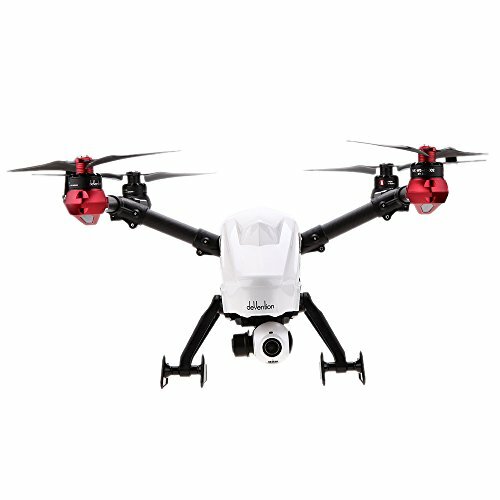 Two of the top names that always appear when it comes to aerial photography drones are Walkera Voyager 3 and DJI Inspire 1. However, the two are very different when it comes to mechanic and electronics, so the resemblance can probably be a coincidence. For instance, Voyager 3 has a sturdier design due to its bigger size and skids (by the way, these are made out of CNC material). Still, Inspire 1 doesn’t suffer durability issues considering that DJI did design this expensive drone with its own protection system. For instance, the landing gear is toughened up with carbon fiber parts. This is great as it won’t add too much to the general drone weight and the durability is highly improved. The Inspire1 is surpassed by the Voyager 3 on terms of flight time and battery power. The Walkera drone packs 7 minutes more flight time than the DJI one. This happens because the Voyager 3 is using an 8 cell 3300mAh 8S (29,6V) LiPo battery unit while the Inspire 1 uses a 6 cell 4500mAh 6S (22.6V) LiPo (standard option) battery. However, the real-time they’ll spend in the air depends on weather and wind conditions. The difference in battery power and cell numbers is attributed to the size of both quadcopters’ motors. Both versions allow dual control (pilot and camera operator) but here the Voyager 3 has an advantage. The camera operator can use an app on a phone or tablet to control the camera. For the Inspire 1, you have to buy a second transmitter, but it should perform better because using a joystick to control a camera is easier than touching a screen on a mobile device. You can find out more about the Inspire 1’s camera features in our in-depth review of this model. Regarding cameras, if you want great aerial images, any of these will do. Both cameras will record 4k videos at 30fps. Even more, you can take it up a notch and make 1080p videos at 60fps. However, Voyager 3 is in advantage here due to its vibrant colors and a slightly better sharpness. Both drones support FPV, but the Inspire 1 will win here due to its Lightbridge HD FPV. According to users, both quads are pretty similar but Walkera is less expensive than DJI so, if you’re not willing to spend too much, Walkera wins. Another quad that compares with the Voyager 3 is the Phantom 3, also from DJI, and you can get much more informed on this model by reading our Phantom 3 review. 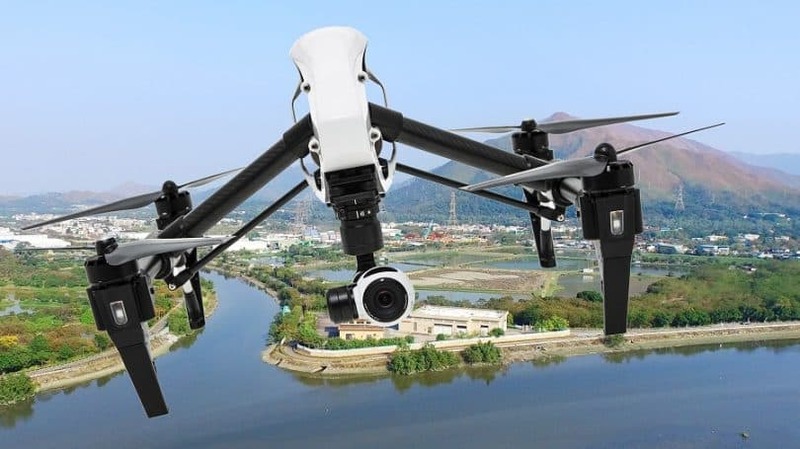 Like the Voyager 3, this drone has 1080p Full HD video recording with fully stabilized 3-axis gimbal and can be controlled by a remote control or by a smartphone/tablet. The maximum flight time is 23 minutes which is not that far from the Voyager 3 (25 minutes) but the Voyager has more speed. The wingspan on the Phantom 3 is 23.2 inches. So, if it were to make the comparison, the Voyager 3 (13.6 inches) is smaller. While the body and rotor material of Phantom 3 are made from plastic, the Voyager 3 has plastic + carbon fiber. However, both drones can carry weight: Phantom 3 can carry 0.66 pounds while the Voyager 3 is capable of carrying 0.71 pounds. Both the Phantom 3 and the Voyager 3 can be controlled from over the average range (328 feet). 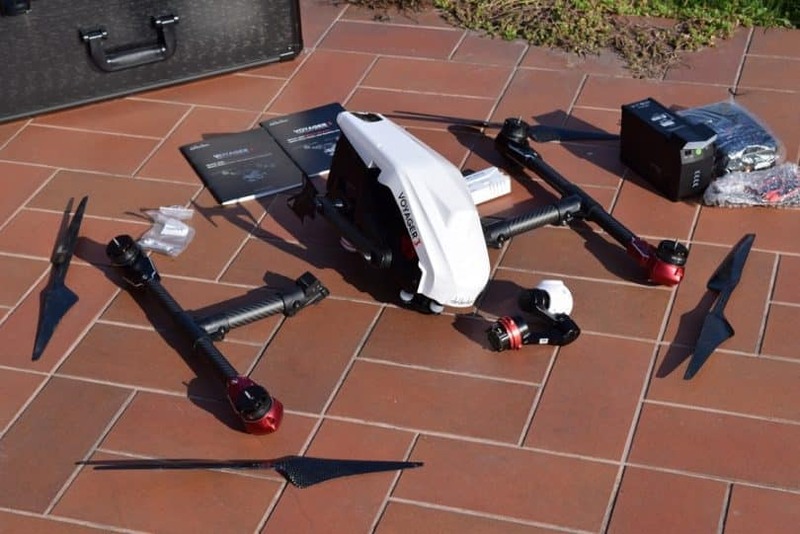 However, the Phantom 3’s range is longer than the one supported by Voyager. The Scout X4 is another impressive product of Walkera. Just like the Voyager 3, it has an included Bluetooth ground station device which helps you planning waypoint missions through a touchscreen tablet or phone. It also comes with a follow me mode and some other features that you can find at Voyager 3 as well. However, this drone doesn’t have a stabilization gimbal or camera. You still have the option to purchase them, but it will add to the cost of an already expensive drone. If you want to find out more about this model, we suggest checking out our Walkera Scout review. Although Voyager 3 is a lot harder than the Scout X4, it has more speed. The Scout X4 has an operating range of 500 meters (1,640 feet) longer than the Voyager 3. In the end, let’s compare flight time. Apparently, both drones support a flight range of 25 minutes which is quite impressing. 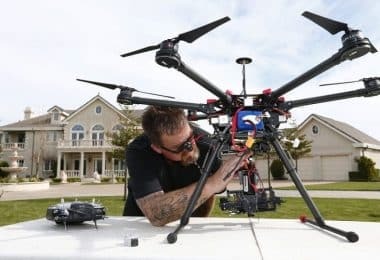 If you are familiar with drones, you know that most don’t pass the 10 minutes limit, even in the professional category. In general, the pros outweigh the cons for this drone. So, if you are looking for a power-packed drone that can give you long flight times, reliability and a long shelf life, this is the ideal product for you. 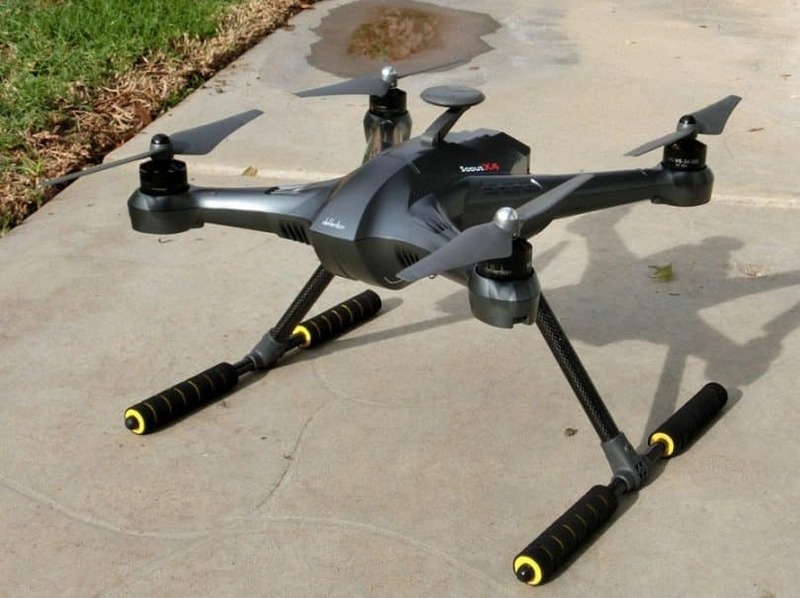 Walkera guarantees the ultimate flying experience by creating the Voyager 3. The futuristic design and ingenious use of the latest technology make this vehicle a product of beauty and reliability being suitable for drone hobbyists and for professionals. When it comes to quadcopters, Voyager 3 is at the top of the list. Its price is purely justified, after all the high-end features come with a high price. The Walkera Voyager 3 was designed for hobbyists and people who have a little bit of experience with drones. It’s an advanced vehicle that has professional results when it comes to aerial imagery. Walkera Voyager 3 can be both a flying toy and a great help for professionals so if you are a quadcopter passionate, this drone will definitely give you an awesome experience. Drone Trends: What Will The Future Hold for Drones and Drone Flight? 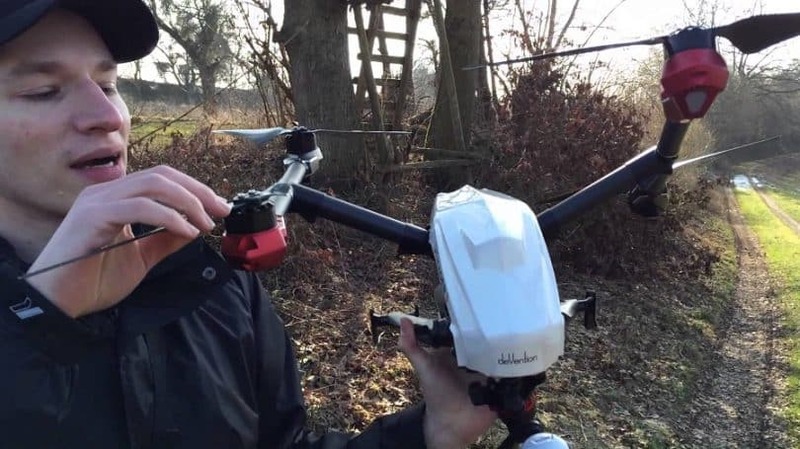 BLOG Drone Battery Life: How to Make The Most Out of It?